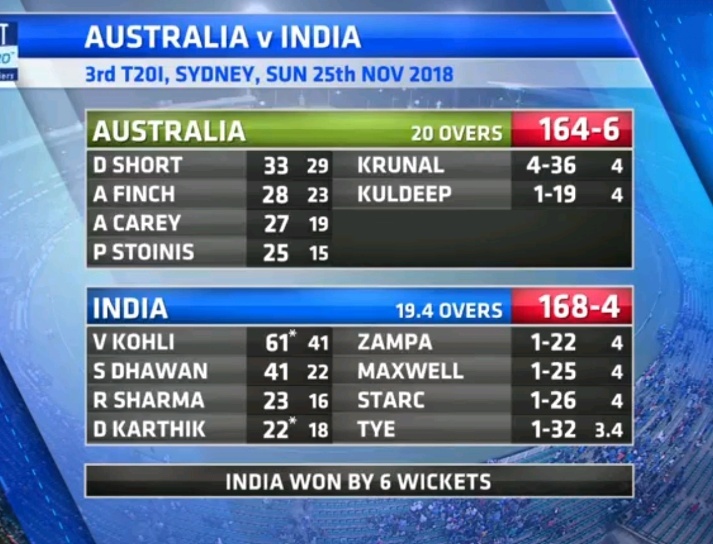 In the 4th match of the T20 Series between India and Australia which was played in SCG on Sunday, in which Team India outplayed the Aussies and won the match comfortably by 6 wickets and leveled the 3-match T20 series by 1-1. Earlier, Australia won the toss and batted first, and scored 164 runs for 6 wickets in the allotted 20 overs. On behalf of India, Krunal Pandya took 4 wickets for 36 runs in 4 overs. In response to this, the team India's opening pair started with a bang. Shikhar Dhawan scored 41 runs with 22 balls at a strike rate of 186.36 with 6 fours and two sixes. Unfortunately, Dhawan was dismissed by steaming yorker by Mitchell Starc. 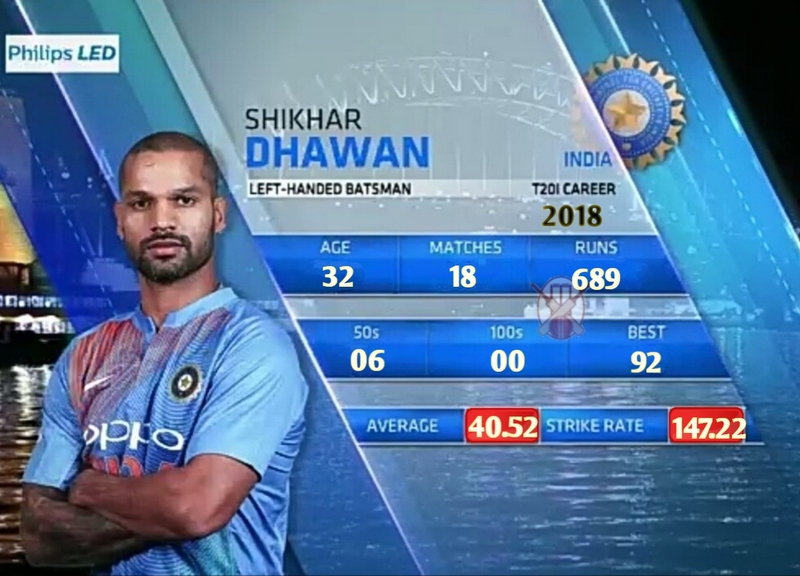 If Shikhar Dhawan had added 11 runs to his score today, he could have become the only player in the world to achieve this record in 14 years T20 history. Indeed, Shikhar Dhawan broke the record of Virat Kohli (641) in the first match. Today, if he scored 52 runs, then he would have become the first player in the world to make 700 runs. 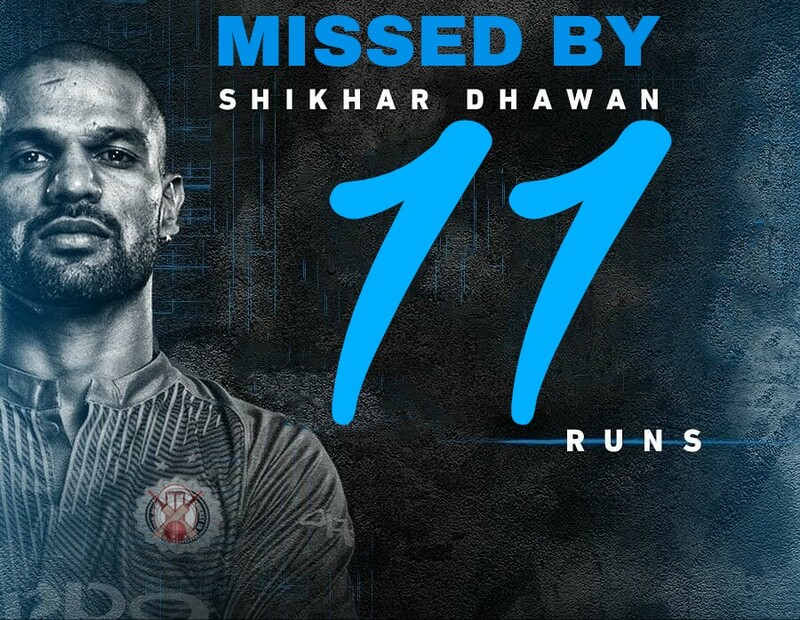 Unfortunately, Dhawan was just 11 runs behind to this world record. 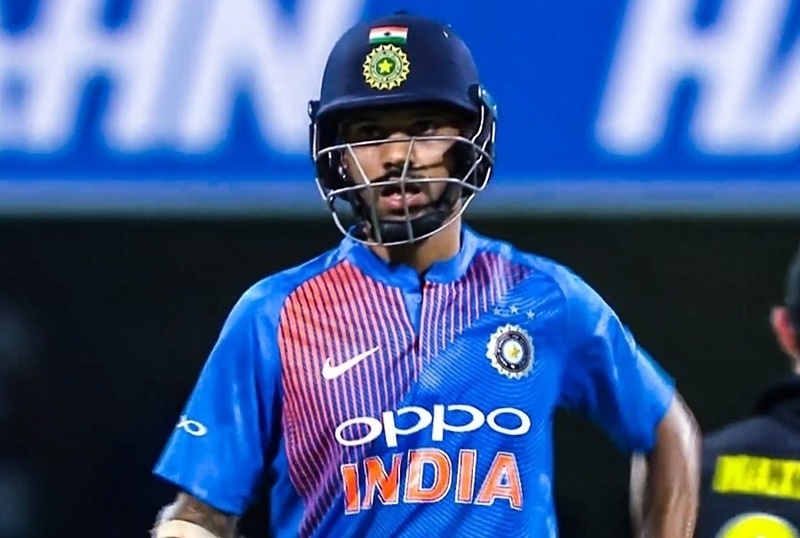 However, Dhawan is the highest run scorer (689), while Virat (641) and Rohit Sharma (590) are in third place in the case of making most T20 runs in a calendar year.